San Francisco is about to get a whole lot greener. The City's Department of Public Workshas approved eight applications to install parklets and a couple of dozen more could be coming. The idea is to install temporary public spaces over parking spots to promote people getting outdoors or relaxing. But like all ideas in the City, this one comes with some protest. The term NIMPS was created in December when a group voiced its displeasure with Ritual Coffee Roasters installing a parklet in front of its Valencia store. Regardless the City approved eight permits and is looking at approving 27 more. 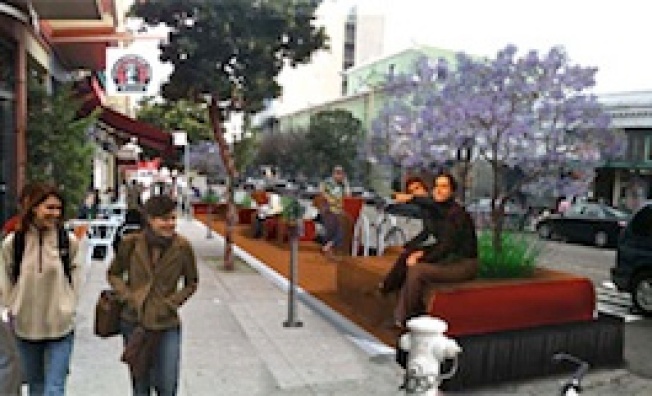 The San Francisco Examiner gives us a full break down of where the proposed parklets will be.